Succeeding as an independent truck operator requires the timely acquisition of freight loads through trucking networks and Internet services. There are few options for securing loads for the independent truck driver. Rather than going door to door soliciting loads, independent truckers can use computer networks to locate return loads near each drop-off location. Many major truck stops now have kiosks which permit the truck driver to search for the loads available nearest to the truck stop location. Many shippers post their needs on these kiosk networks, along with other Internet sites. Ask a clerk at any given truck stop if the establishment has a freight connection network kiosk. This should be the first choice when trying to find a load before accessing Internet. Visit truck stops with Internet access. Most major truck stops are now providing either wireless or wired Internet access. Those without wireless may still offer wired access. If this is the case, there will be Ethernet jacks located on the walls in a specific room of the establishment. Ask a clerk where Internet jacks are located, then hook up the laptop to the jack with an Ethernet networking cable. If Wi-Fi is available, ask for access information. Log onto the Internet at the truck stop and visit any of the following freight location services: www.getloaded.com (commercial), freightfinder.com (free), or the "Internet Truck Stop" load board at www.truckstop.com (requires registration). Register with any one — or all — of the load services available. Begin job search based on the maximum weight you are able to haul, type of trailer and equipmen you use and your ability to get the load to its destination within the time period required as listed on each load detail sheet. Many other drivers are competing for the same jobs. Promptness is critical. 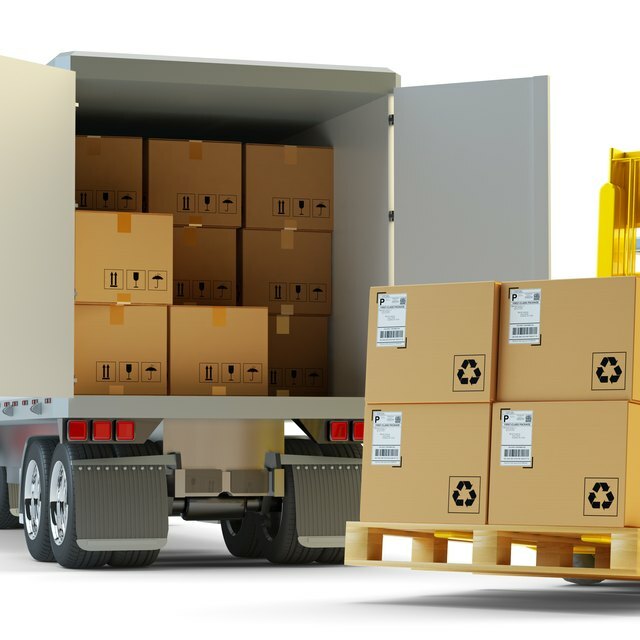 Write down the load identification number, and the shipper's contact information and contact the shipper immediately utilizing the job ID number. Loads don't stay on websites or kiosk networks for long. You snooze, you lose. Be sure your equipment matches the requirements for the freight to be hauled. Some loads require refrigerated trailers , air-ride suspension for delicate shipments, enclosed dry van trailers, or even flatbed trailers. Contact a shipper only if you're certain your equipment matches the shipper's needs. Consider leasing your services to a trucking company that uses owner-operators. Fleets have full-time dispatchers who find loads and back hauls for you. Kurt Schanaman has had several editorials printed by the Star-Herald Newspaper publication in Western Nebraska. He attended Western Nebraska Community College.